Happy New Year to all. Please come and join us for our first meeting of the year! 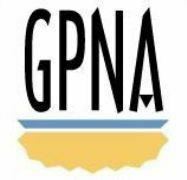 Arts at Oakland, Saturday 19th May from 4:30-10:00 p.m..
Technology Committee: Every Fourth Tuesday, 8:00 p.m., 393 Ormond St.
Joint NPU-W & GPNA Public Safety Committees: Every Fourth Wednesday, 6:30 p.m.
NPU-W Transportation Committee: Every Fourth Wednesday, 6:30 p.m.
NPU-W General Meeting: Every Fourth Wednesday, 7:30 p.m.